I continue my walk through Jordan Cooper's The Great Divide. As we leave behind the comparison of Lutheran thought with the Calvinistic acronym "TULIP," I personally find myself in interesting territory. As I have confessed previously, I have been heavily influenced by the "fringe" thought of the Reformed Tradition (e.g. Karl Barth, Peter Leithart) as well as many Eastern Orthodox thinkers. I believe from here on those influences will make their influence known. Let me state up front that there is very little in this chapter with which I disagree. This will upset many of my Reformed friends, but it is the truth. I do not affirm the regulative principle of worship as it is typically practiced. Cooper's presentation is fair. He promotes a concern for the historical liturgy that I affirm (93-97). I attend a church that has a healthy (i.e. "high") liturgy, celebrates the church calendar, takes communion weekly, and looks favorably on vestments. I recognize that this puts us at odds with many Reformed evaluations, but this need not be a breaking point of the Reformed faith. I do not count my appreciation for historic liturgy as a reason to hop ship the Lutheran direction. Much to the consternation of my Reformed friends, I also agree with Cooper on the valid use of icons (100-105). I approach this confession with much reservation. I do not personally own any icons nor do I attend a church that utilizes them. I have read Calvin's arguments in the Institutes, and I find them lacking. I find them lacking particularly because they address the Roman Catholic abuses and not the historical use (I would recommend the more historical Three Treatises on the Divine Images). That a thing may be corrupted is not a reason to discard it. I am also familiar with the confessional opinion on icons. These arguments normally involve the application of the 2nd Commandment to the historical person of Jesus Christ. Unfortunately for my Reformed friends, I agree with Eastern Orthodox and Lutheran theologians who believe that the 2nd Commandment does not apply to God's Incarnate Image found in His Holy Son. I share this position with R.C. Sproul, and it has been supported through his Ligonier ministry a number of times. Lest Cooper become cocky with all this agreement, I disagree with him on Rublev's great work depicting the Trinity being a valid icon (104). The interpretation that the Trinity ate with Abraham is unsustainable in my opinion. I had trepidation concerning my views on the liturgy. I have legitimate fear about agreeing or disagreeing with Cooper on baptism. I think Cooper nails it in the head when he highlights the Reformed commitment to God's sovereignty and freedom in the sacraments — the efficacy of baptism in the Reformed faith is distinct from the act of baptism. Both traditions affirm that salvation is truly the work of the Holy Spirit. The two differ when the Reformed speak of "baptism" precluding the Holy Spirit. The freedom of God's electing grace is emphasized and the Holy Spirit is "free" to regenerate who He wills — baptism does not force His hand. Thus, a wedge is forced between the Biblical idea of baptism and the work of the Holy Spirit. Peter Leithart has addressed the inconsistency of this approach in The Baptized Body. The Reformed desire to express God's soteriological freedom is to be admired. However, it does sometimes put us at odds with what God says in His word — if He promises to be somewhere we can be assured that He will be there. Interestingly, I believe it was this type of Reformed thinking that led Barth to deny the medium of Scripture as "God's word." Barth felt he defended the sovereignty of God in revelation through this distinction that God had the freedom to reveal Himself through the Scriptures. "Baptism with the Holy Spirit has been shown to refer, not too a blessing separated from water baptism, but Trinitarian baptism in the church. Through that Trinitarian baptism one receives the Spirit" (134-135). Seeing this giving of the Spirit from a covenantal view, I am not in agreement with Cooper on the Lutheran fine print of baptismal regeneration. But that discussion is too nuanced to be had here. The point of contention I will address with Cooper is his summarization of Karl Barth's view on baptism (and now I'll lose Reformed friends for defending Barth). It is certainly true that Barth emphasized baptism "as an act of the recipient" (113). Keeping with the Reformed tradition, Barth kept water baptism and spirit baptism distinct at a high level. What is unique though is Barth's understanding of election and the atonement. Put simply, Jesus Christ is the elect man in that He died a reconciliatory death on behalf of all men. For Barth, Spirit baptism was the divine work in man that proceeds water baptism on the basis of Christ's universal death for mankind. Water baptism then is only established within the frameworks of God's unconditional movement towards man. It is a free "response," but it is the only free response possible for man. When writing on this balance between God's action and man's reaction, W. Travis McMaken can say Christ’s death is “objectively effective for each individual” which is “subjectively actualized” in baptism (231). 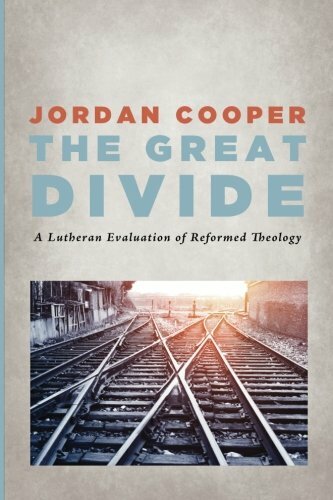 This sounds more Lutheran than Cooper's original simplification. On this particular issues, and how a thorough thinking Barthian could still affirm infant baptism, I recommend W. Travis McMaken's The Sign of the Gospel (my review can be found here).